UCCS Students were able to dispose of some of their old electronics in a secure way through the Office of Information Technology’s Shred-A-Thon event, held on Oct. 31. Students who need a way to be able to recycle their electronics, dispose of a hard drive securely or both were given the opportunity to do so. Neil Kautzner, the IT security analyst for Office of Information Technology at UCCS, said that the month of October was specifically chosen due to the fact that it is National Cybersecurity Awareness Month. According to the Department of Homeland Security’s website, October was established as National Cybersecurity Awareness Month in 2003. Kautzner said that this event worked for cybersecurity awareness because if a hard drive is not destroyed properly, the information on it can still be accessed by whoever happens across it. According to kautzner, the safest way to dispose of a hard drive is to destroy it completely when you are completely done with it. UCCS has attempted to do this is by bringing in a third-part company named Blue Star Recyclers, which received Colorado Biz’ 2018 Top Nonprofit Company winner, according to Blue Star’s website. They are a nonprofit company that uses their various recycling fees to create jobs, especially for people with disabilities, and to run their specialized shredders, which are built to be able to safely and thoroughly dispose of hard drives. This is the second time a technology disposal event has been held at UCCS. The first event, according to Kautzner, was about four years ago. The IT Office accepted hard drives, computers, projectors, cell phones and computer screens. The same items were accepted at this year’s Shred-A-Thon. 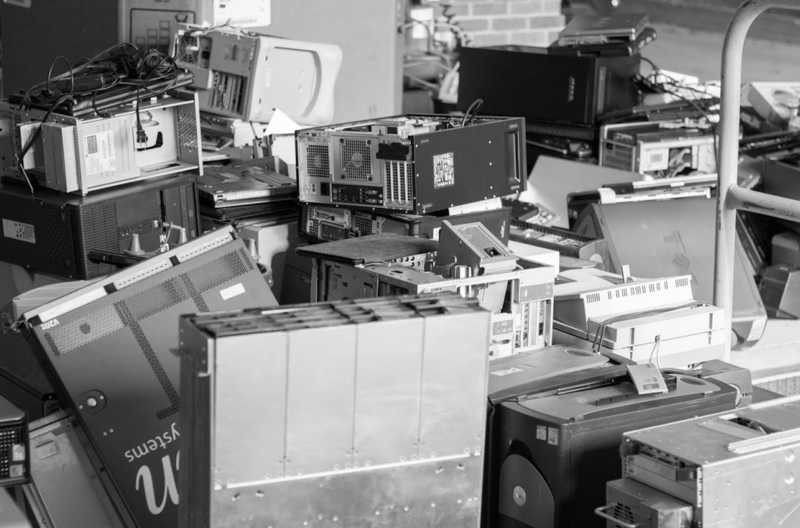 If there are any items that students still wish to safely dispose of, Blue Star has a location in Colorado Springs to drop off old electronics at 100 Talamine Ct. The facility is open from 9 a.m. to 5 p.m. Monday through Friday, and from 9 a.m. to 1 p.m. on Saturdays. Fees are collected to recycle items.